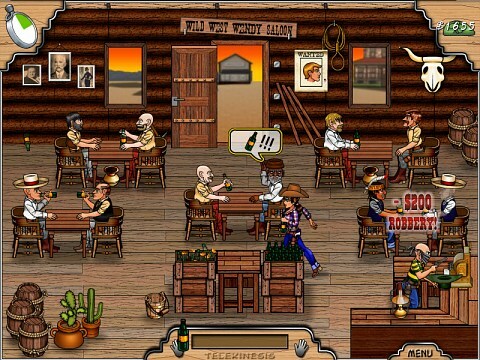 Conquer the Wild West with your saloon franchise!! 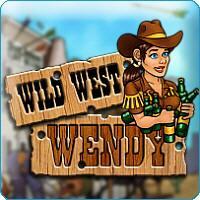 Help Wendy go from watering-hole waitress to tavern tycoon in this exciting puzzler. Conquer the Wild West with your saloon franchise! Serve drinks! Capture criminals! Return missing cows! 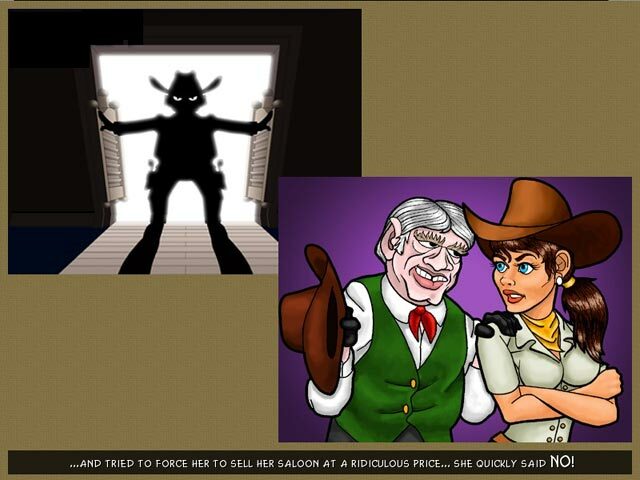 Live the Wild West through 9 beautiful scenarios, over 35 cartoons, and over a hundred news from the town's newspaper. 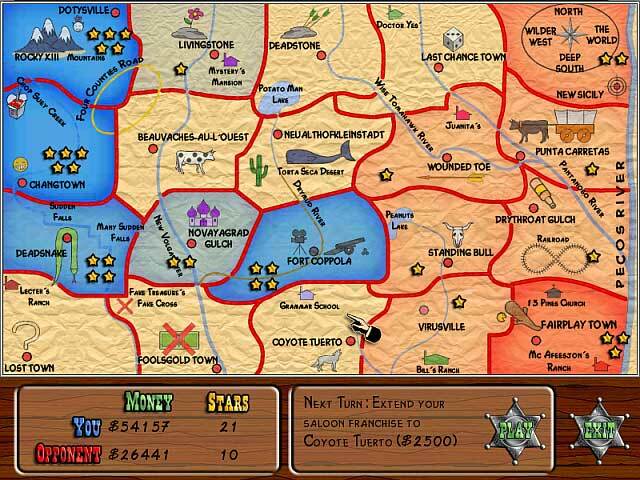 All the excitement of the Wild West awaits you in this action-packed game for the whole family! Adjust the game difficulty at will (easy, medium or hard). 45 levels and 8 characters.